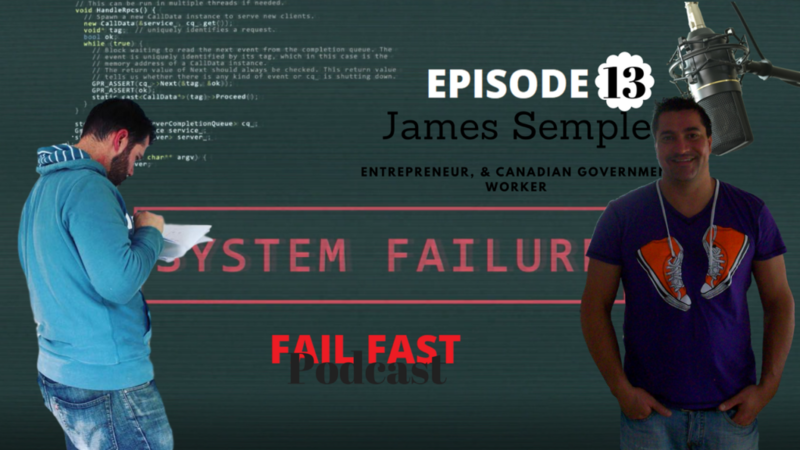 Canadian government worker and entrepreneur James Semple on the Fail Fast Podcast with Quin Amorim. James Semple shares a failure story from his early career. Born and raised in Ontario, Canada, James Semple moved to Fort McMurray, Alberta to raise a family. Currently, James Semple works for the Canadian Government at the RMWB (Regional Municipality of Wood Buffalo). James Semple is also a successful entrepreneur who co-owns one of the biggest kitchen cabinet companies in the municipality. The City of Fort McMurray where James Semple currently lives was devastated by the biggest wildfire in Canadian history, back in 2016. James loves the city of Fort McMurray, Alberta and will do anything to help bring it back to its full glory. James’s podcast is “The Partnership Podcast” and you can find it at PartnershipPodcast.com soon!